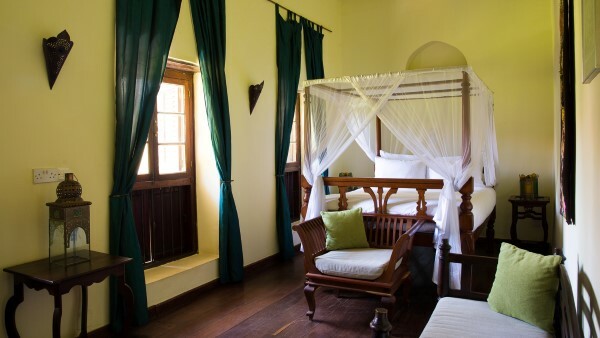 Everything about Beyt al Salaam rooms is as authentic old Zanzibari as the great house itself. 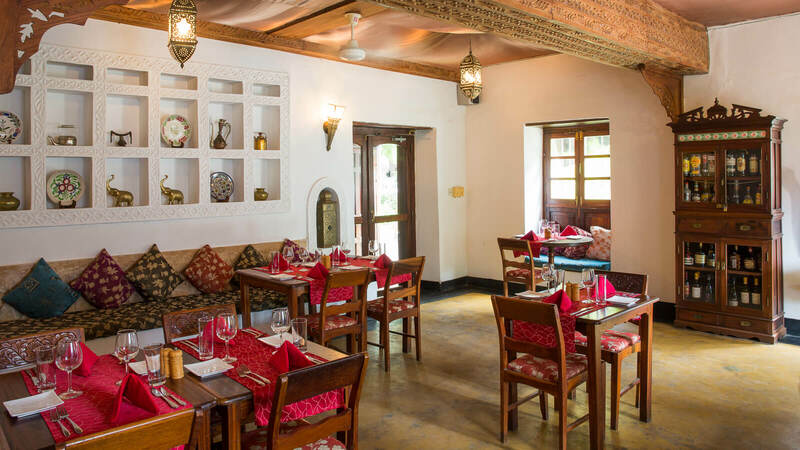 For those who want to experience the charm of a classic Zanzibari setting with a touch of ancient Arabian mystique in the heart of the enchanting old city, the place is Beyt Al Salaam, formerly known as Beyt Al Chai. 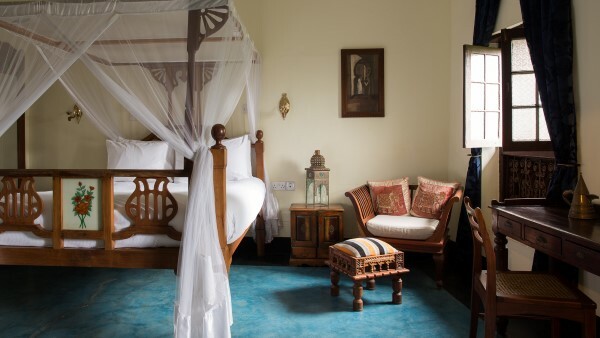 The exquisite 10-rooms are individually unique in their interior design with all of them reflecting the essence of Zanzibari Omani culture. 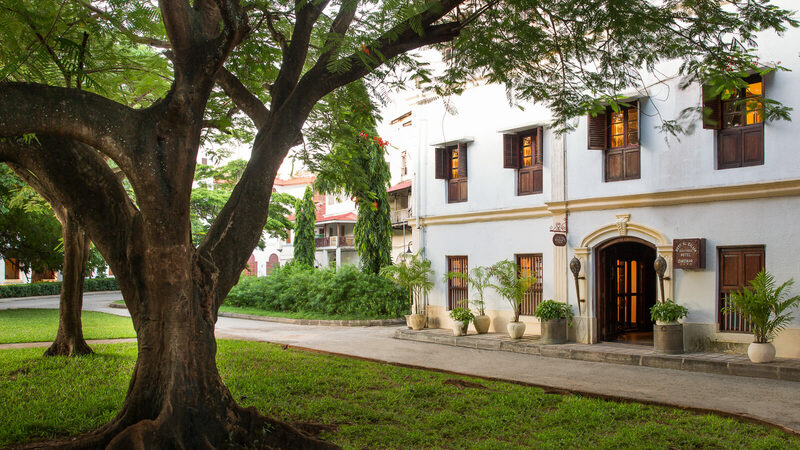 Set in the serene part of Stone Town and amongst the historic buildings of UNESCO’s World Heritage Site, the hotel is just a 10 minutes’ drive from the Zanzibar Airport and Ferry port. It’s an ideal place for guests to explore through the winding alleys which reveal the cultural and architectural influences that the city has been subject to over the past two centuries. 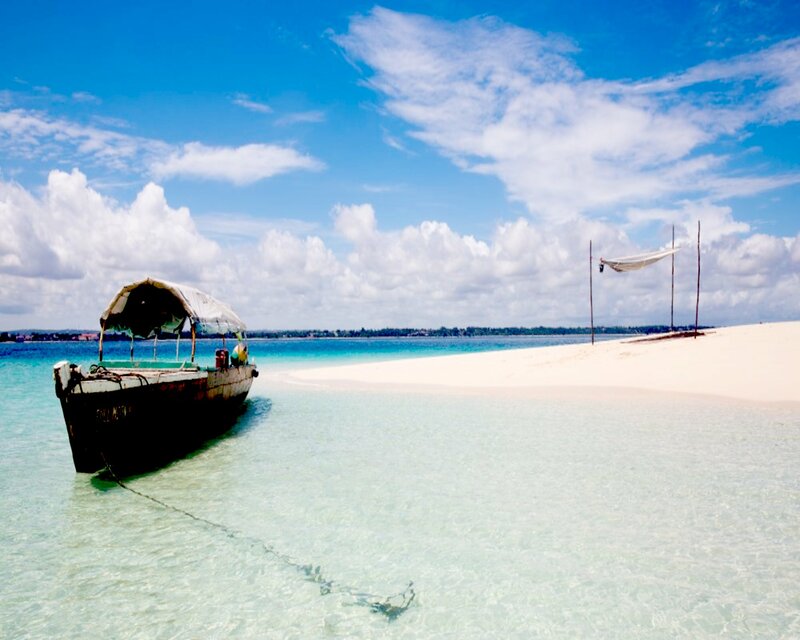 It contains within it a plethora of tourist attractions ranging from cultural and heritage to arts, shopping in bustling bazaars as well as nearby marine and nature excursions allowing guests to immerse themselves directly into the sensory Island of Zanzibar. It sets in the shades of swaying flame trees pulling the Indian Oceans breeze in the balmy evenings, overlooking Kelele Square, a leafy and tranquil place which also enjoys close accessibility to Stone Town’s key attractions such as the Portuguese Old Fort, Shangani Beach, National Museum, High Court of Zanzibar, the Sultan's Palace, Old Dhow Port, Old Slave Market, House of Wonders, Darajani Market, Fish Market, Old Dispensary and the iconic promenade Forodhani Gardens which is a staple attraction for visitors looking for barbeque snacks with mesmerizing sunset scenes. It is non-commissionable and subject to change. I wanted something different for breakfast and after many trial in other restaurant i finally got what i wanted in beyt al salaam restaurant. The breakfast menu is huge with lots of variety and choices. I ordered the coconut and banana muffins and other pastries which were delicious and freshly baked. I had the poached eggs, the chef display it on a toast spread with avocado, that was amazing, nice combination and flavors. 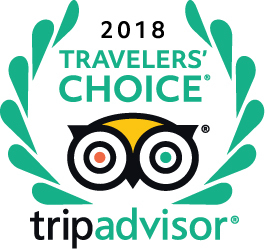 I've tried the fresh and local fruits of the island and the fresh squeezed juice also which were amazing.The service was perfect,the waitresses were very polite and were paying attention to small details. I highly recommend everyone to drop by and try the breakfast menu specially the fresh squeezed juice. 2 nights stay at beyt Al salaam boutique hotel was very excellent. The hotel is very quiet xz the rooms are very clean. 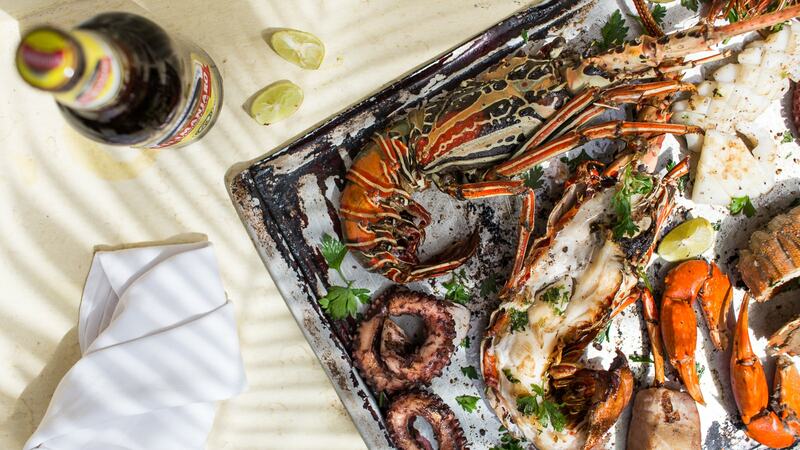 The service of the staff is well maintain and welcoming, I will recommend it without doubt. 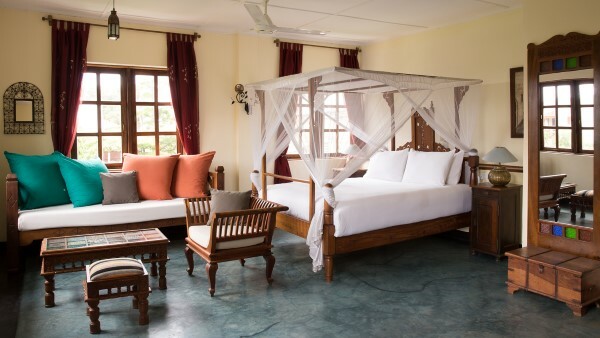 The best boutique hotel in town, it very in a open area with a great garden in the front close to the beach. The room were very clean. Habiba the house keeper was very helpful. I will definitely be back.